URT is still active and a new album is already in the works. 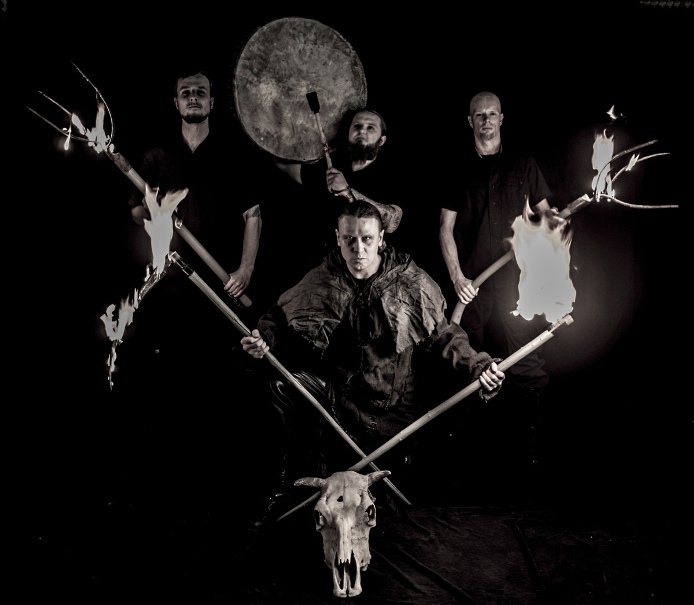 SÕJARUUN was greated in 2007 as a side project after Oliver, Sander and Thon split with the raw pagan/black metal band TARM. Sõjaruun in studio, recording new album. Lately there have been radical changes in myspace and we feel that it is not serving any of our demands and/or intentions. The account was created for musical purpouses only, but with time passing and the whole myspace becoming more and more raped with unneccesary features, we feel that it is not worthy of our time nor energy being wasted for this silly and mindless crap. Feel free to visit our new official homepage http://www.theblacktemple.com/sojaruun where all important things about the bands activities are avalable. From this moment the official Sõjaruun myspace page will be abandoned, at first it will be not deleted, but there will be no updates and no mails/messages will be answered. For all orders, interviews and other band related questions should be addressed to Black Devastation Records or to the band members directly. Estonian metal act LOITS tribute album "Trench Art - A Tribute to Loits" is going to be released on October 1 2016 by the Mexican metal label Azermedoth Records.